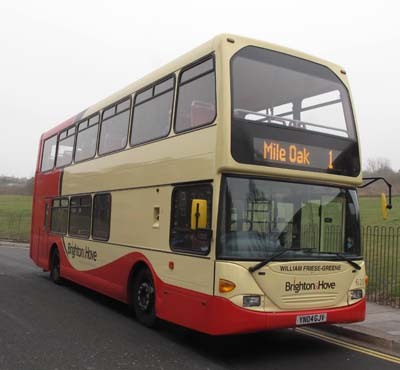 Connections with Brighton and Hove : The great film pioneer was born in Bristol in 1855 and was apprenticed to a photographer. He invented a moving picture in 1887 to great acclaim and applied for a patent two years later. 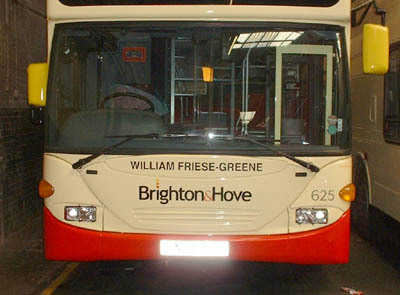 He opened a number of studios including one in Brighton. 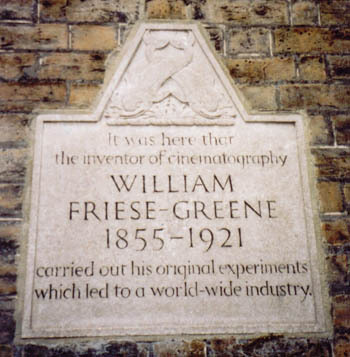 Friese-Greene led a chaotic life and was declared bankrupt three times because he was hopeless with finance. He went to prison at least once for debt. He took out another patent for cinematography in natural colours in 1905 and started a company based in Western Road, Brighton. Another laboratory was founded in Middle Street and there is a plaque to him there. 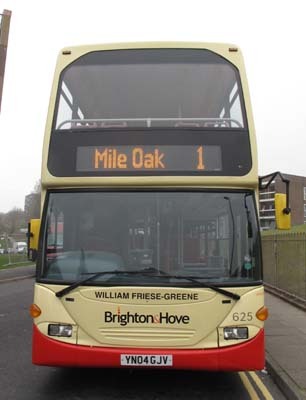 Friese-Green lived with his wife and six children in Worcester Villas, Hove, in the early years of last century but sadly his youngest child, Raymond, was kicked to death by a horse after playing in the street. The family had to leave after his third bankruptcy. He was involved in lengthy legal disputes with other film pioneers in the area including George Albert Smith which did none of them any good. Friese-Greene lived in penury for the rest of his life and although friends started a fund to support him it did not raise much money. He died after speaking at a meeting in London on unity in the film trade in 1921. There is a plaque to him on a house in Worcester Villas. 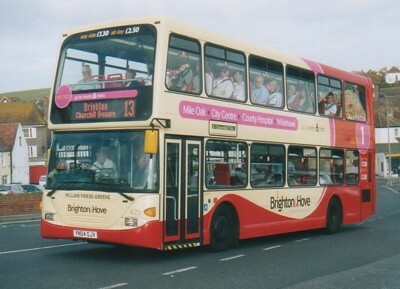 625 Scania Omnidekka carried name since delivery in February 2004, on METRO Line 1. Metro 1 branding removed March 2012.